With the Longford-based Center Parcs set to open its doors this Summer, Chemistry has launched a new campaign for the destination which is aimed at Irish families taking short breaks. 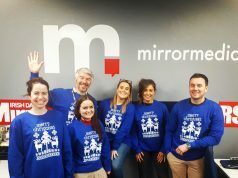 Chemistry worked closely with the Center Parcs team to create a campaign highlighting all the key features of a short break at Center Parcs and which draws on insight into Irish family life. The result, according to Chemistry, is a fun and beautifully shot 60” launch spot which captures the combination of fun, excitement and downtime that a Center Parcs short break creates to make family time together truly unforgettable. The 60” spot launch spot is accompanied by two other 30” spots and each one is narrated from the point of view of the children in the family: a young boy of 10 and his toddler sister. 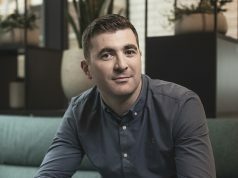 “The Center Parcs team were committed to developing a campaign built on strong local insight and it’s a campaign that I am very proud to have helped launch,” says Sinead Cosgrove, Head of Planning, Chemistry. 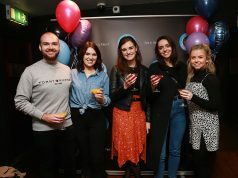 “We are very proud of this campaign and to be part of the team that launches this amazing brand into the Irish Market” adds Jennifer Monks, Account Director in Chemistry. The 60” spot first aired on TV and cinema on December 26th with both 30” spots going live this week.